It cannot be denied that car detailing and cleaning drain out loads of energy as well as time. But the effort is worthwhile as it adds value to your car. A professional detailing not just makes your car more appealing from outside, but also keeps the interior in good condition. Whether it’s sunny, snowing or raining, the car parts have a tendency to corrode, get scratches and damage over the period of time. Even the car’s interior is prone to damage and shows signs of wear and tear. 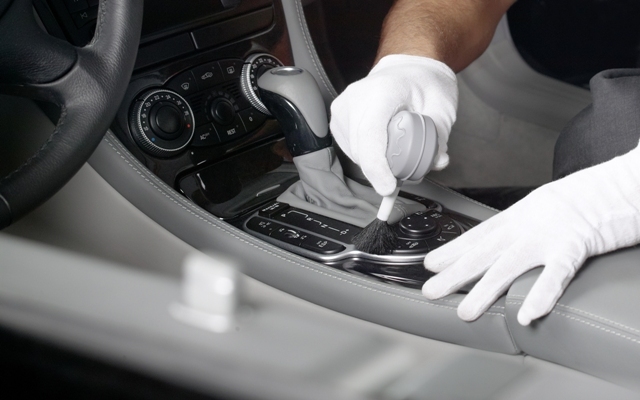 Let us now see how auto detailing of your car’s interior can benefit you. Why show the world that you are a lazy and irresponsible car owner and can’t keep proper care of your car! If you feel pride driving a clean car, others who sit inside also frame a positive outlook about you. A clean interior smells good, looks neat and comfortable to sit in even when you are covering a long distance. Have you ever gone to a used dealer showroom and sit inside a car for a test drive? Certainly you won’t feel nice if the interior looks dirty and unclean. Beside the functionality, the aesthetic appeal is also taken into consideration by the buyer. This greatly determines the resale value. Thorough cleaning of car accessories and compartments removes the dirts; application of disinfectants and sprays kill the germs, bacteria and insects hiding inside. Hence, you get a hygienic and germ free interior. Vehicle seats, carpet, shoddy material, dash mats, headliners, air bags, gear kick knobs, dashboard, etc., get scratch marks and spot when kept uncleaned for months. Also, if you have kids, they unknowingly scratch the glasses and leather covers. Interior detailing can help you remove these defects efficiently. – Increases the durability of seats, floor mats etc. Regular caring and maintenance keeps the leather upholstery, floor mats, carpets and plastics in good condition. They will look newer and shinier for a long time, become more durable and the protective layers of chemicals also make them weather resistant. There are few professional firms that offer interior car wash services in Calgary NW. The range of packages along with an array of offers not just fit your requirement, but saves you from breaking your bank. The services generally include methodical vacuuming, trim and vinyl plastic cleaning, interior deodorizing, cleaning windows and mirrors, leather, carpet and upholstery shampooing and conditioning, application of protectants on leather, knobs, handles, buttons and vents.